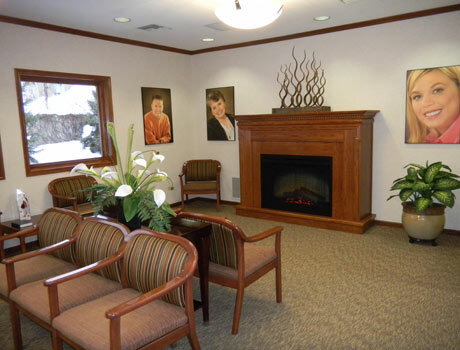 Welcome to ourGrand Rapids area dental practice in Comstock Park! Our Comstock Park practice provides patients with the highest quality cosmetic dentistry and general dentistry services. Dr. Bruce Stewart and Dr. Eric Hull continuously keep up to date on the latest technologies, methods and materials to ensure that your experience with us will be positive and relaxing while providing you the best of today’s dentistry. Dr. Stewart is an Accredited member of the American Academy of Cosmetic Dentistry. He was the first Accredited member in the state of Michigan. Dr. Hull is a Fellow in the American Academy of General Dentistry (F.A.G.D.). He completed over 800 hours of certified continuing education and passed a written examination to receive his Fellowship. Dr. Hull graduated from the Kois Center in 2017. The Kois Center brings the latest in science and research to dentistry. Topics range from dental materials to full mouth rehabilitation. Dr. Hull is a member of the American Academy of Cosmetic Dentistry, Academy of General Dentistry, and American Academy of Implant Dentistry. Dr. Hull is an Affiliate Associate Fellow in the American Academy of Implant Dentistry (AAID) after completion of the 9 month implant implant Maxicourse, and passing a credentialing exam. Most of our staff has been here for well over 15 years, some closer to 30 years. Nothing makes us happier than seeing a cosmetic dentistry patient gain the confidence of a beautiful, white smile. Many patients aren’t as happy as they’d like to be with their smiles; their teeth may be subject to damage or decay, yellowing, or other flaws. Dr. Stewart and Dr. Hull offer services like crowns, veneers, Invisalign clear braces, and others to create perfectly spaced, perfectly aligned, white teeth that give our patients the confidence they deserve. Braces can be painful. They’re bulky, uncomfortable, and embarrassing. And they’ve been the standard for too long. Dr. Stewart and Dr. Hull offer the newest, best technology in teeth straightening: Invisalign. Invisalign is a clear, thermoplastic tray that is virtually unnoticeable and straightens your teeth without any of the disadvantages of braces. Come in today to find out how Invisalign can do what it does best: align your smile invisibly! Although Dr. Stewart especially enjoys cosmetic dentistry, he and Dr. Hull also provide a full range of general dentistry services. Our practice can help you with any of your general dentistry needs, including fillings, root canals, crowns, veneers, bonding, cleanings, and virtually any other dental health service for any member of your family. Contact our Grand Rapids dental office to schedule an appointment. We also offer complimentary consultations for Invisalign clear aligners. Call us today at 616-784-2377 if you are in the Grand Rapids area, from Comstock Park to Rockford, MI!